Ever have one of those days when everything went right and it made you a little afraid to step out in the street for fear of being hit by a truck? Well, the last half of week 14 of 2011 was like that for us. Let’s see if I can break it down. We received the liver biopsy pathology results from the doctor on Tuesday, April 5th. There is no cancer. From here on out I will have to have periodic MRIs to monitor the disease, but that is the best news we could have hoped for. Next, we finally received the paperwork on our sponsored child in Uganda. Her name is Joanita and she is 8 years old. We are so happy to finally know that she is the one we are helping to clothe and educate. Now we are able to begin corresponding with her and we are hoping that Scott will be able to meet her in October when he goes to Buloba. The organization we are working with for this sponsorship is African Renewal Ministries (ARM). If you are so inclined, have a look at what you can do with $35 per month. 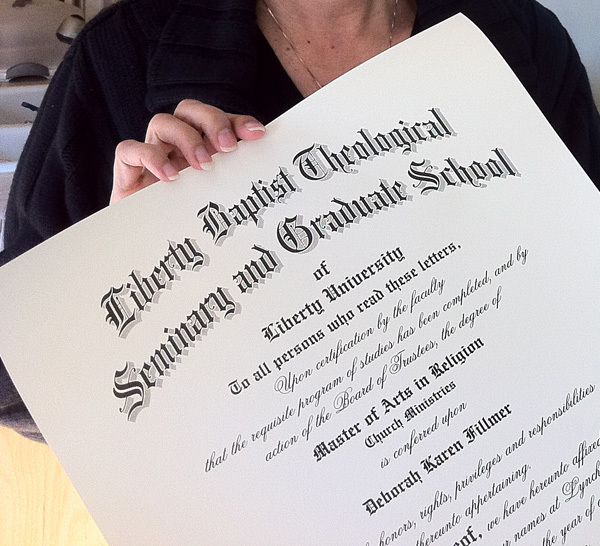 Also in the mail on the same day was my diploma from Liberty University. It was a long two+ year endeavor, but I am glad I did it. I now have a Master of Arts in Religion (MAR) to add to my list of completed objectives. 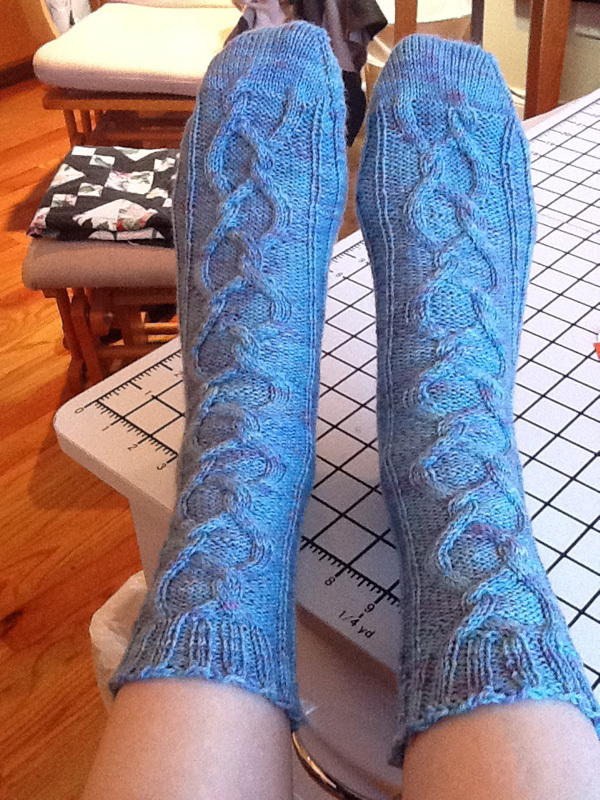 On Thursday, Sock Madness Round 3 began with the release of the pattern at 7 pm. So the rest of my week was spent furiously knitting whenever I was sitting still. I stayed up until 1 AM last night to finish the pair. My hands are killing me and, so, I will be laying off the knitting at least for a couple of days. Finally, while knitting on the socks and talking on iChat with my son and his family, my son let it slip that he will be coming to visit us in June. We were expecting to visit with our daughter-in-law and grandson on that trip, as our son was not planning on coming. Their family is going to Disney and he was trying to avoid that adventure. We are thrilled to pieces that he will now be joining them. So, there you have it. An overall GREAT week. Hearty congratulations on all your good news!